Clifton Hills Primary School boasts a proactive Principal & P&F, dedicated to maximising students’ developmental benefits while injecting a sense of fun. They wanted to add excitement to the playground, providing children with a variety of physical challenges and imaginative play to share. 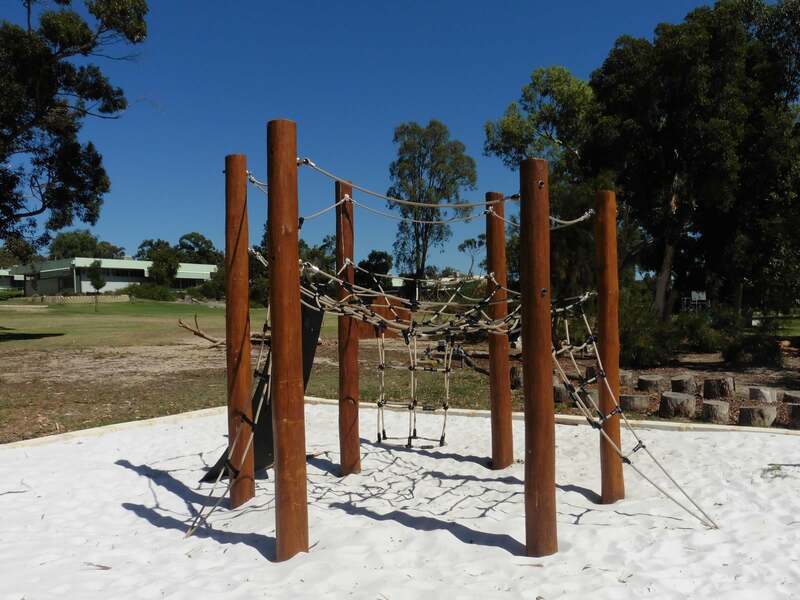 The school chose Playground Centre’s amazing Funnel Web structure, with poles and a spider-web net hung on a slanting angle, allowing access up or down via the climbing chimney, rope ladder, rubber membrane belt or triangle climbing net. Playground Centre’s unique manufacturing processes allowed a truly beautiful customised touch, using Australian Jarrah timber. The equipment was installed ­in a super-tight timeframe so it was ready for action in no time!